Photinia is a verstaile, upright bushy shrub that can either be grown as a specimen plant or as a fast growing evergreen hedge. 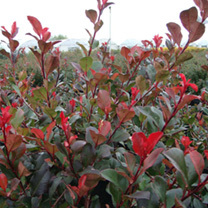 The leaves are glossy and green, first emerging bright red in colour and maturing to rich green later in the season. Easy to maintain and regular pruning will encourage more new red growth. Height 150-200cm. Supplied in a 7.5-10 litre pot. Photinia is a verstaile, upright bushy shrub that can either be grown as a specimen plant or as a fast growing evergreen hedge. 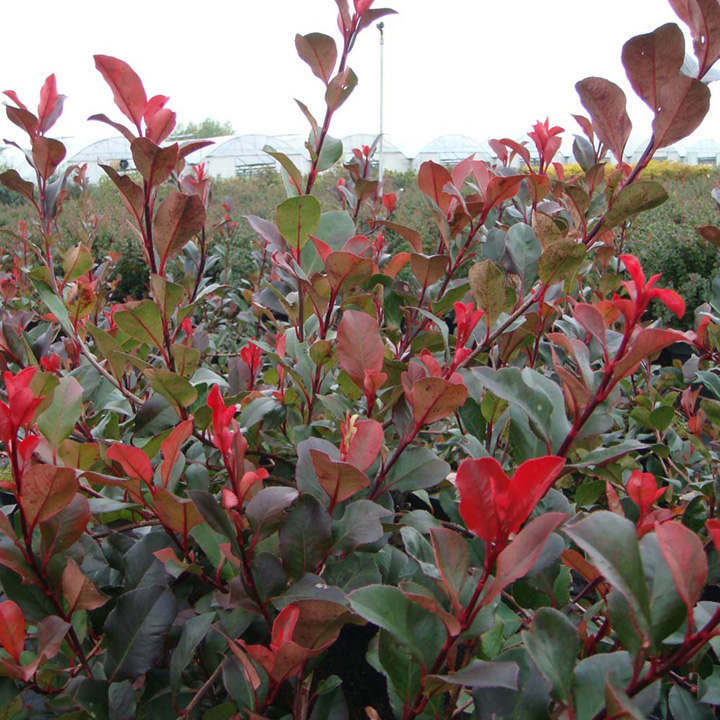 The leaves are glossy and green, first emerging bright red in colour and maturing to rich green later in the season. Easy to maintain and regular pruning will encourage more new red growth. Height 150-200cm. Supplied in a 3 litre pot or 7.5-10 litre pot.